Why Are Dogs With A Traumatic 'Story' More Likely To Get Adopted? There are dogs we all know. These are dogs who were rescued from high-profile dog-fighting busts, hoarding situations and puppy mills. Dogs whose stories made us gasp and whose stories we followed regularly. We may have even contemplated filling out an adoption application for one (or two) of them. And while we shared their happy-ending stories, we sometimes wonder: How did those lucky adopters end up with them? Yet, for every one of those famous dogs, there are thousands of other dogs with no stories waiting in shelters for their own happy endings. 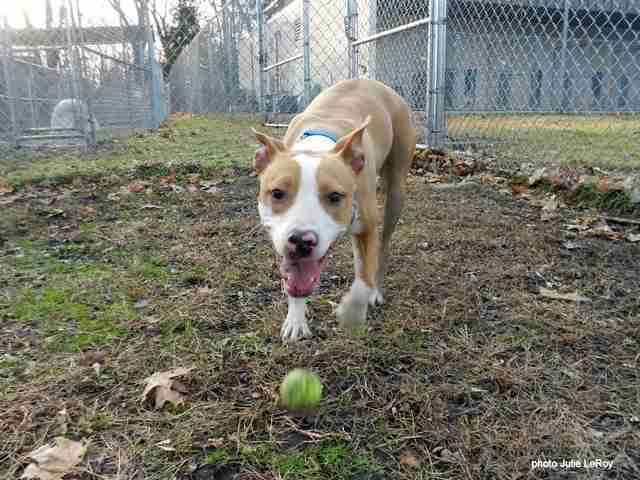 When I was an animal control officer at Durham County Animal Control in Durham, North Carolina, I brought many dogs to the shelter whose futures were uncertain. The Animal Protection Society of Durham was open admission and every day the public brought dogs they didn't want to the shelter. I came across so many wonderful family dogs, purebreds and mutts who through no fault of their own found themselves on a concrete floor staring out through a chain link door. The most troubling of these dogs were the ones who faced challenges such as health issues or behavioral problems. At a shelter where 75 percent of the animals brought in never left, it was discouraging to know these dogs didn't have much of a chance. I can't deny that this makes sense because people don't usually go to the shelter looking for the sickest dog or one who exhibits resource guarding, right? I soon found out it was the circumstances that brought the dog to the shelter, sometimes, and not necessarily the dog himself, that made him more appealing to the public. And the more dire the circumstances, the better the dog's chances. I learned this lesson when the shelter agreed to take an overflow of dogs from a puppy mill seizure that took place in a neighboring state. The case had made headlines everywhere. So many dogs were seized that the local shelter was not equipped to handle them. 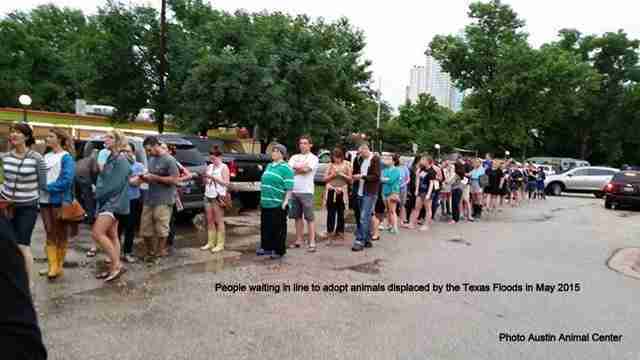 When I arrived to work one morning, I was shocked to see a line formed outside the shelter door. The shelter wasn't even open yet but there were people with downloaded applications standing there, waiting, and the sense of excitement was electric. They were there waiting to apply for the puppy mill dogs because they had read about the case or seen it on TV and found out that our shelter had some for adoption. What they ignored was that these dogs were understandably ill and shut down from the life they had just been rescued from. I watched local people apply for these dogs who came from out-of-state, disregarding the long road to health ahead, and I watched the local dogs who had been sitting in their kennels, ready to go, remain. This is a common sight following sensationalized cases. What drives us to want to adopt an animal rescued from a bad situation? Once the media gets ahold of the story and a post or page is created, we start seeing pictures and videos of these dogs all day long in our feeds, on the news and in the courts. We become conditioned to the story and not necessarily the dog's needs. We often forget the dog has suffered health problems and will need continued costly care or that this dog needs an experienced handler or that the dog never slept inside a house and doesn't know how to treat it differently than the backyard home he knew. We've all seen the cross posts of dogs who have been pulled moments away from euthanasia because of their challenges. 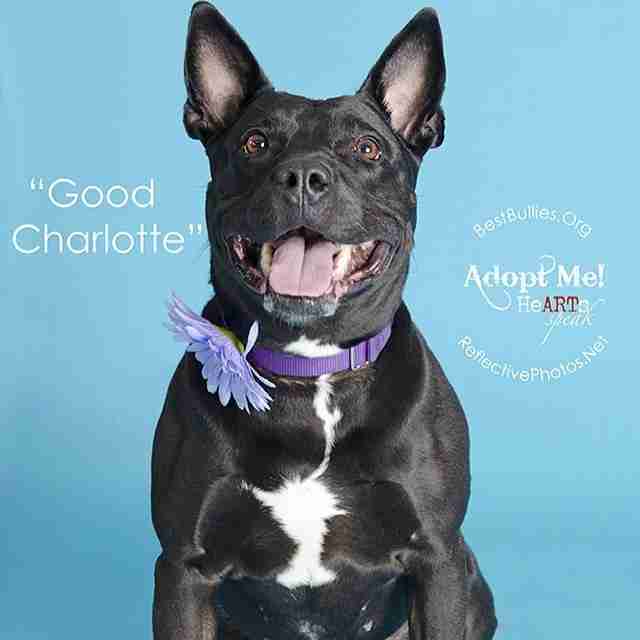 Advanced age, poor health, undesirable behavior or even breed type can land a dog on a shelter euthanasia list. Many of these dogs have serious restrictions regarding the home they can be placed in. Many of these dogs are fearful and do not respond with gratitude just because we saved them. Yet, following that cross post comes that happy-ending post, and it makes me wonder if a dog who is easy to place just lost out to a dog who will challenge the new owner's limited handling experience or drain their finances because of expensive medical issues. A friend who volunteers with a rescue in upstate New York says her rescue deals with breed frenzy. The rescue can openly list a golden retriever with a bite history and still get numerous applications. 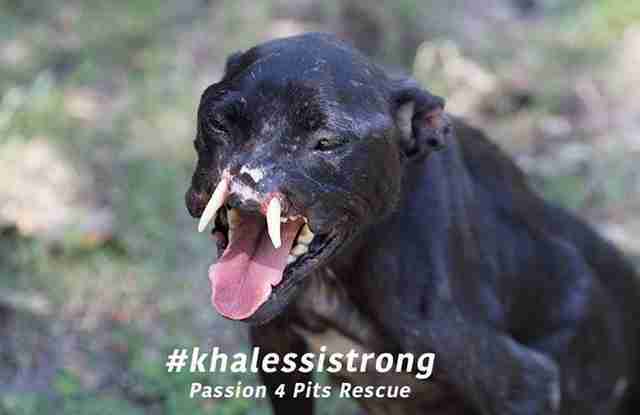 In the meantime, a mixed breed with no issues waits for a home a long time; a pit often sits until time runs out. Annie Torres, who rescues dogs in the Sacramento, California, area says, "The rhetoric was identical with adopters because I constantly heard, he's had such a rough start in life, he deserves our home." She explains to these adopters that most of the other dogs awaiting families had an equally horrible start in life even though their backstories may be unknown. These dogs deserve great homes, too. Does that mean the challenging dog has less of a right to a good home than an easy-fit dog? The obvious answer is all dogs deserve a home and a chance to be loved, but we must find balance. Angie Hintermeyer, who has adopted several rescued beagles admits, "I would take every animal out there if I didn't have limits. So the dog must be old, must be a girl, must have health issues or a backstory. I know there are so many deserving pets but without limits my house would literally be a zoo and I would be broke." Luckily, Angie is experienced with special needs dogs and strong enough to deal with knowing that adopting a senior pet means you don't always have that much time to love them. Someone who is just focused on a dog's story may find herself let down from what she envisioned. Video of these rescued lab beagles touching grass for the first time went viral. 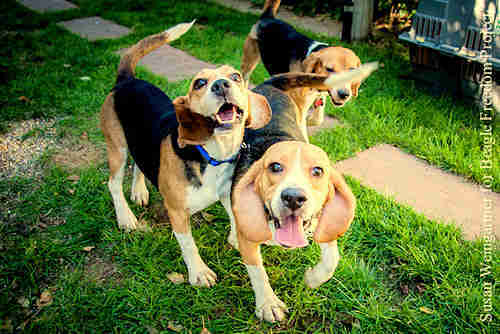 Prior to social media, lab beagles had no futures and were euthanized if they didn't die from the harsh testing first. What can we do to ensure all animals have an equal chance of getting a good home and all solid adopters find the animals who fit their lifestyles? I think we're already working toward it. One growing shelter trend is sharing long-timers with placards indicating the amount of days the animal has been waiting for a home. These are generally animals who've been looked over for no particular reason - making an extraordinarily long wait a story in itself. Even then, a potential adopter needs to understand that a dog who has never lived in a home will face challenges such as housebreaking and having to learn what's not OK to chew on. 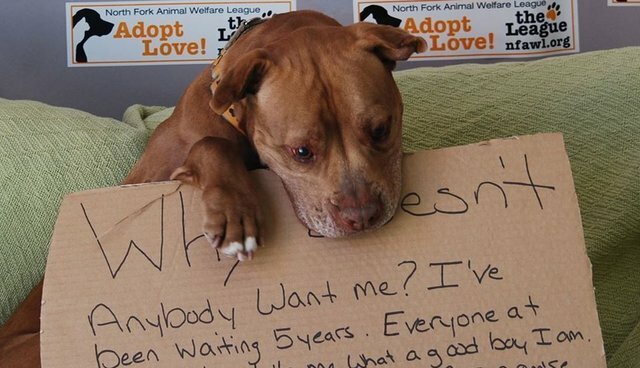 Chester waited five years for a home and had a Facebook page where the shelter posted a picture of him holding a cardboard sign that read "Anybody want me?" 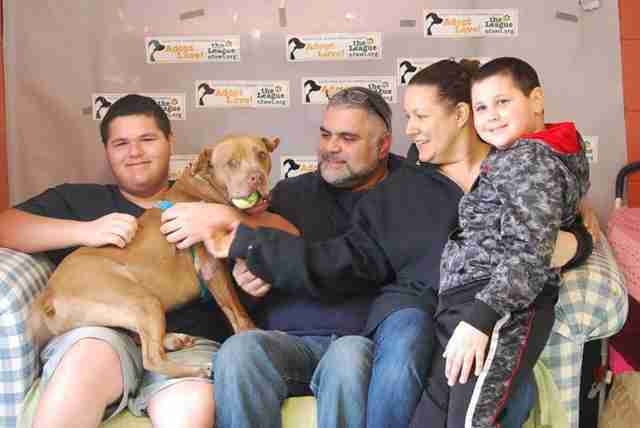 Soon after the image went viral, Chester was adopted by this family from Michigan. Another effective solution is a technique used by the Arizona Humane Society. They have an emergency medical team and sometimes the media will follow along on a rescue. Ashliegh Goebel, media coordinator for this shelter, says these stories do result in numerous applications. While the shelter houses hundreds of Chihuahuas, one who has been featured by the media will garner dozens of applications. One high-profile case involved a puppy stuck in a storm drain. Ultimately, the decision was made to hold a raffle for qualified adopters. The raffle took place in the lobby and in addition to the puppy at the center of this attention, other available puppies were placed nearby. Ashliegh says that in addition to the famous puppy, 12 adoptions took place because of the event. Just placing other adoptable animals near the one pulling in the crowds increases adoptions. Then there's Phoenix. I've written about her before because she had my heart when I was the animal care manager at a local shelter. The former director made an arrangement to take Phoenix and several other dogs from a shelter on Long Island that had been affected by Hurricane Sandy. I felt honored that we were saving dogs who suffered from this horrible catastrophe. That shelter continued to send me pleas to help with other dogs and I began noticing they were looking for us to take very sick, very old and very difficult dogs. After I investigated a little further I learned that none of the dogs we took were directly affected by the storm. By taking five of their long term dogs, our shelter gave them the space to take in new dogs displaced by the storm. Their website featured their new intakes as survivors of the storm, and I'm sure they were quickly adopted. In the meantime, because Phoenix (who was homeless long before the hurricane) had some behavioral issues, she sat at our shelter for nearly two years waiting for a home in addition to the eight months she sat at their shelter. When I showed potential adopters dogs, my answer to the question, "What's her story?" became, "She needs a home." Phoenix did end up finding a beautiful home but it was because of the hard work the staff and volunteers did to help her overcome her challenges and because she was simply a lovely dog. Sometimes it's just a connection made with a photo. My friend Keely Greene's beloved dog, Maxi, was fighting cancer and diabetes, and she was feeling angry about it. Then she came across a photo of a dog with second-degree burns down his back. She says she just connected with that face and read about his case in the news. 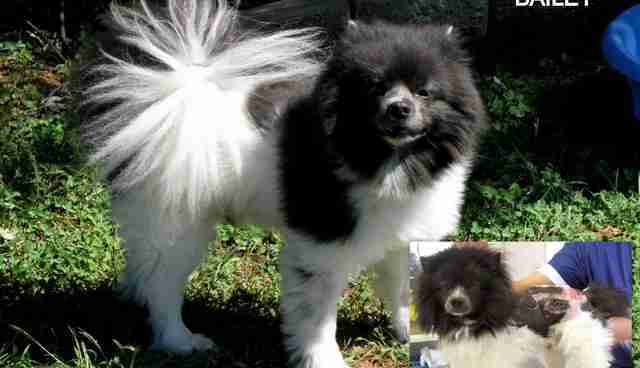 She adopted him and, shortly after, the media latched onto another dog with a story and Bailey's story was forgotten. In fact, Bailey's case went unsolved, and it appeared that no one cared about it anymore, except for Keely. She cared, and still does. Bailey is thriving now and helped her cope with the loss of the dog who drove her to adopt him. That's what rescue is about. We often forget that we are rescued when we rescue - regardless of whether our brave dogs' pasts made the news.